Alzheimer's Society has introduced a new sight loss module to their popular dementia course to help participants understand how the condition can affect people’s vision. The one-day course, Step Inside Dementia, is suitable for anyone who comes into contact with people living with dementia, including health and social care professionals, volunteers and family members. As well as understanding what is happening to a person with dementia and how to build positive relationships, participants will now also learn how sight loss can affect people. 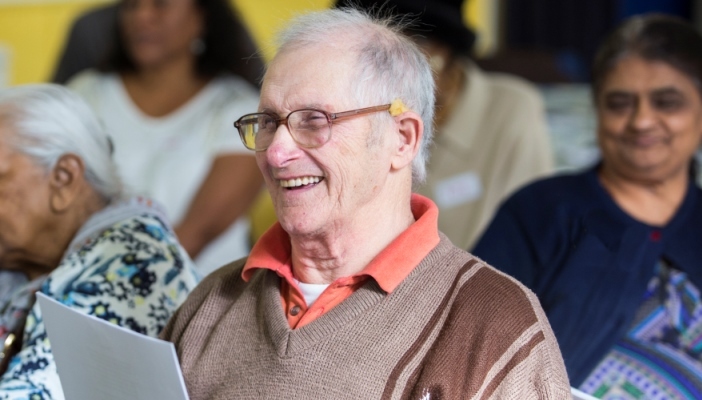 The new module answers how specific types of dementia can damage people’s sight, how to identify if a person has sight loss and how to create a supportive dementia friendly environment. Raj Kapoor, Head of External Training and Consultancy at Alzheimer’s Society, said: “Sight loss is an important issue for people with dementia, with more than 250,000 people living with both conditions in the UK. Step Inside Dementia is delivered in London by Alzheimer's Society and costs £99 per person. For larger groups, training can be delivered in-house to up to 16 participants. The cost for groups working in social care, health care, statutory and third sector organisations is £595, and £695 for private sector organisations. No training or knowledge of sight loss or dementia is needed prior to attending the Step Inside Dementia course. For more information or to find out about upcoming course dates, call Alzheimer’s Society’s training team on 01904 567909 or email [email protected]. Leaflet produced by RNIB Scotland and Alzheimer Scotland, shares useful information that will help you to recognise the differences between a sight condition and dementia. Dementia patients more at risk of sight loss than general population.